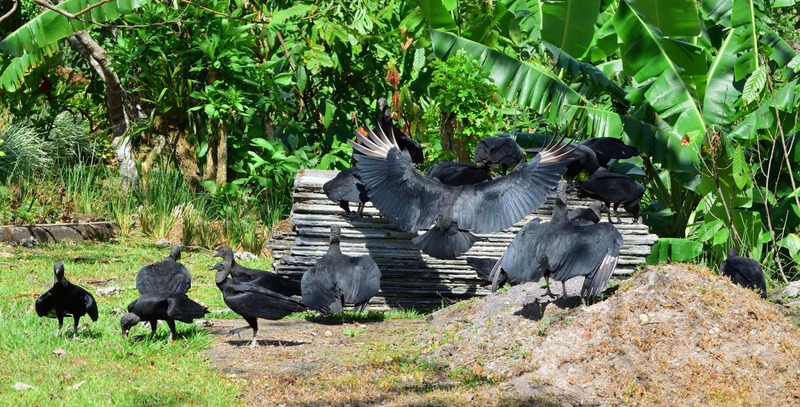 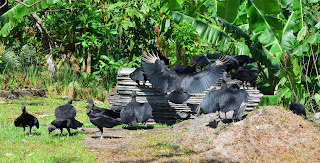 The Crested Caracara showed up for the weekly vulture feeding. 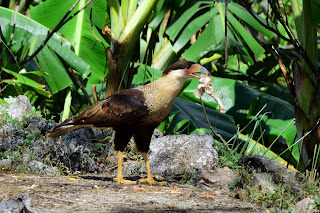 The caracara has appeared for a few of the feedings in the past, but this is the first time I was ready with the camera. 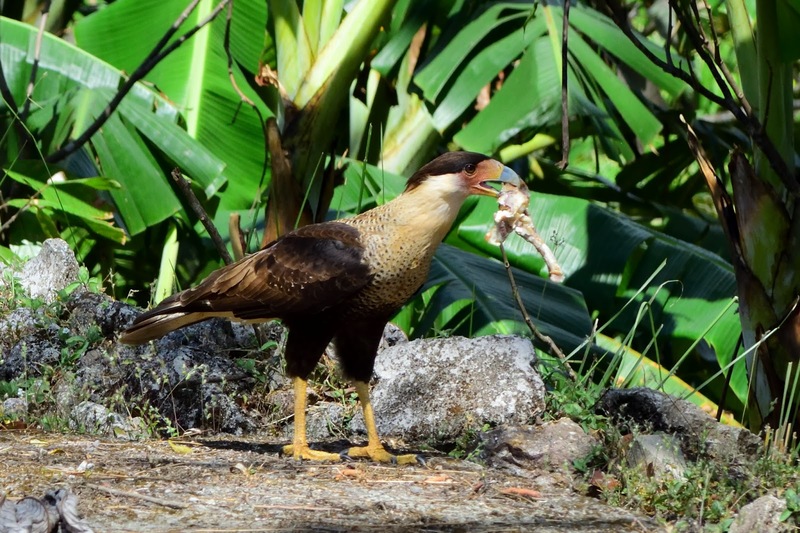 The caracara gingerly sneaks in and grabs something in his mouth and files off with it to eat alone.